It didn't take long for me to figure out what I wanted to do with these. 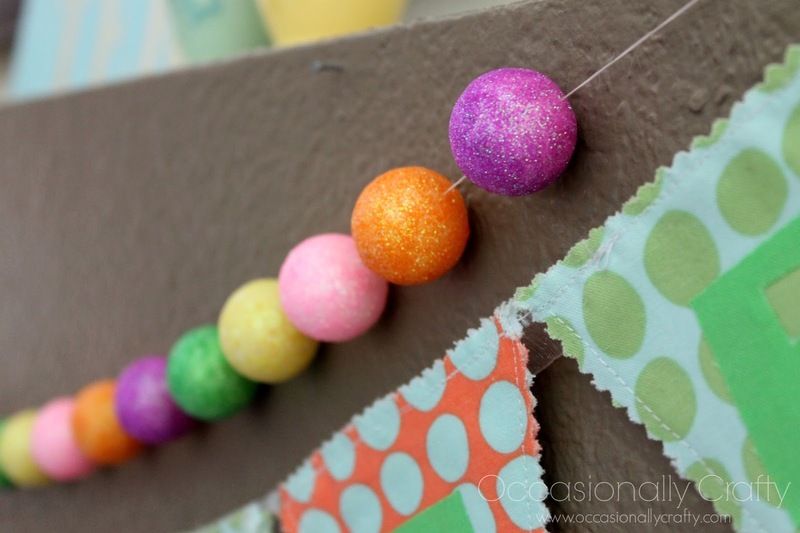 You can easily make this with a needle and thread. The cute little balls are from Michael's, and with my 40% off coupon they cost about $3.50. 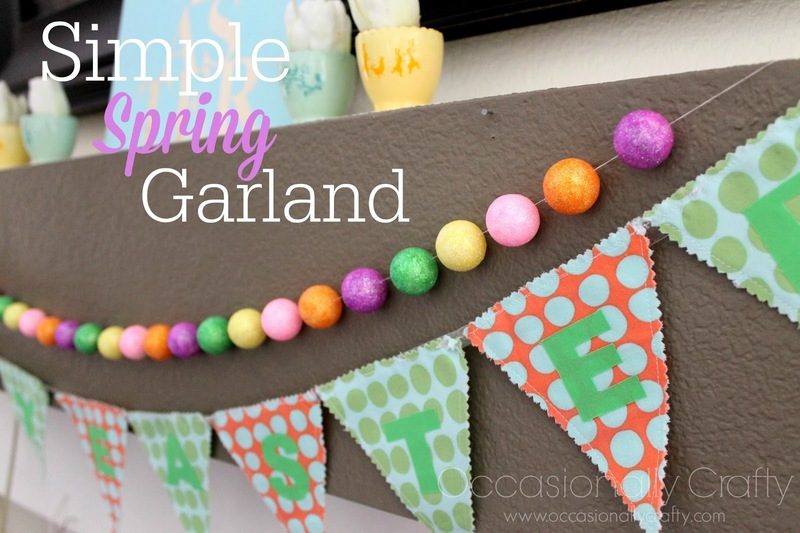 Thrifty, easy, and beautiful. Right up my alley. This came together really quickly. It took me about 15 minutes. And that was because my poor little RA-stiffened fingers had trouble pulling the needle out of each ball. I bet you could do it in half the time! Make this project now or pin it for later. 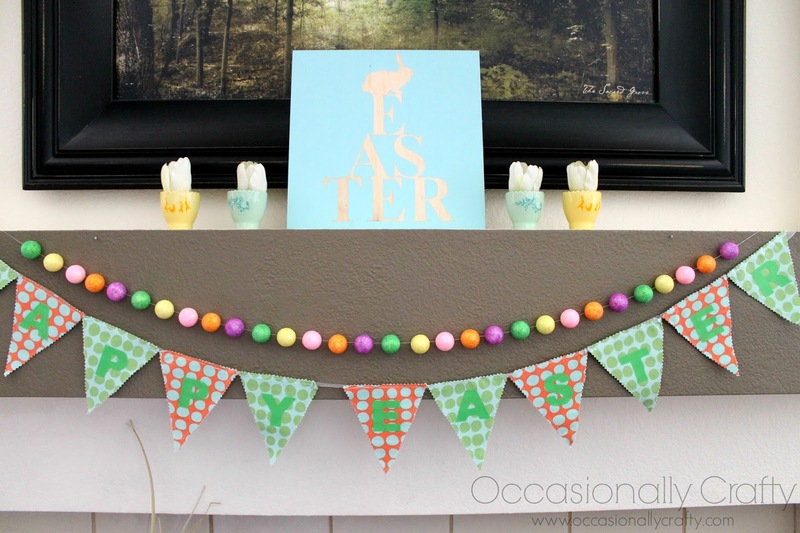 Follow Occasionally Crafty (Valerie)'s board Easter/Spring on Pinterest. 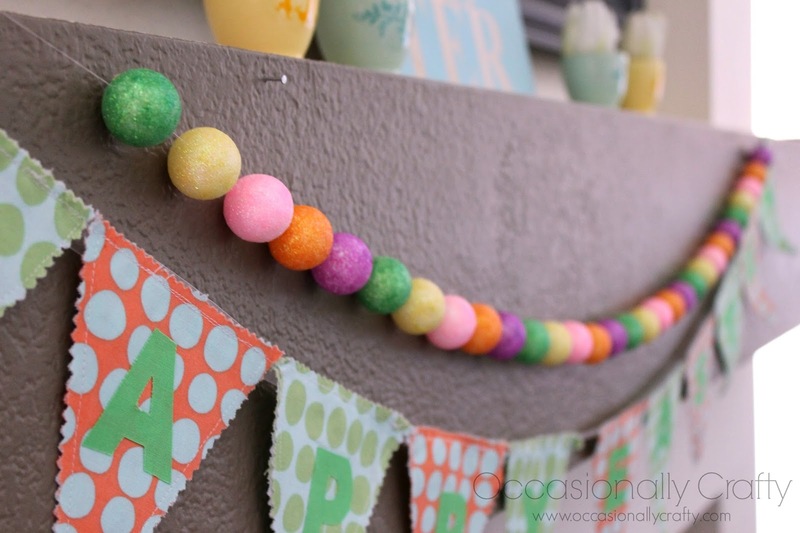 PS- I'm linking up to some of these parties , including the Link Party Palooza: come check them out with me! What a cute idea! I love how whimsical it is! Thanks Annette- it makes me happy! So cute! 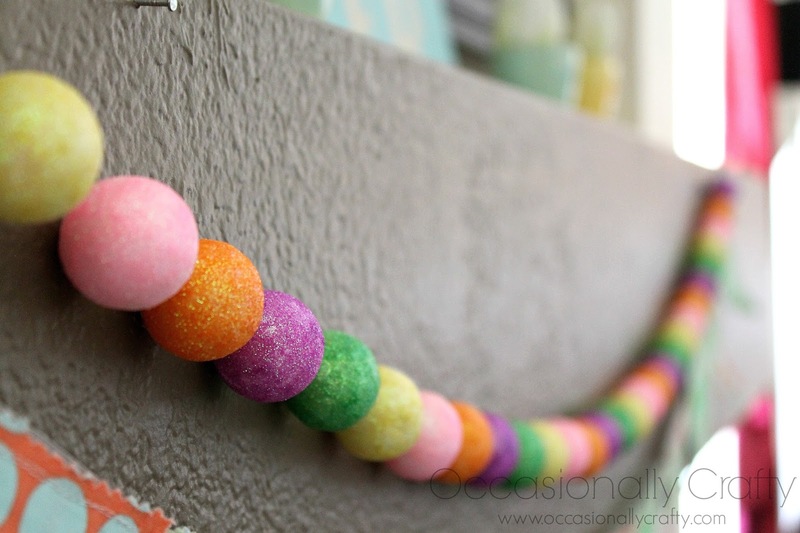 I've been looking for inexpensive ways to decorate and this is a good one! I saw something like these at the dollar store, I may run back and grab some now! Ooh- an even better deal! I didn't see any at ours. Good luck finding some! Thanks for the feature Carolyn! Have a great week! Thank you! And thanks for letting me know about it- I'm off to check it out! Simple and beautiful! I love how it's done and I will surely try it at home with my kids. We will try different design and put it in our new cabin for a surprise party. Thanks for sharing it with us! Cool!